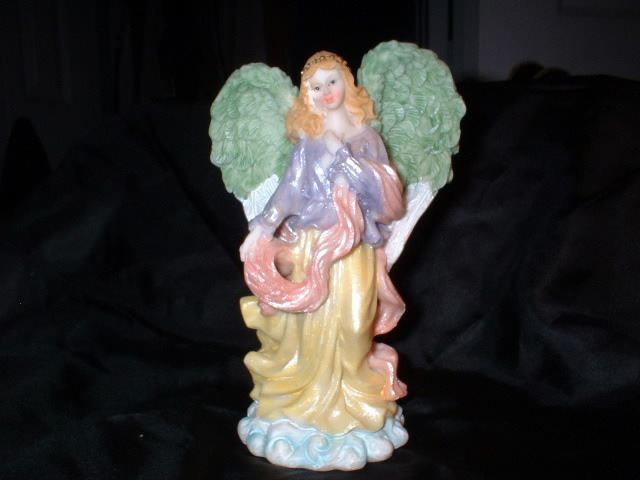 Angels are blessed with the Holy Spirit to watch over us, in our time of need. Stones and Crystals are a natural substance with extremely special properties. They receive and convert energy to enhance your connection with the universe. * GREEN AVENTURINE: Promotes success, wealth and prosperity. * HEMATITE: Helps ward off bad moods and depression. * MOSS AGATE: Prosperity and confidence. * MOTHER OF PEARL: Attracts money and sincerity. * QUARTZ CRYSTAL: Long life and strength. Stores positive thoughts. * ROSE QUARTZ: The love stone. Helps nurture relationships and romance. * SNOWFLAKE OBSIDIAN: Balance and strength. * TIGEREYE: Creativity and manifestation. * TURQUOISE: Promotes health acts like a tonic for the body. 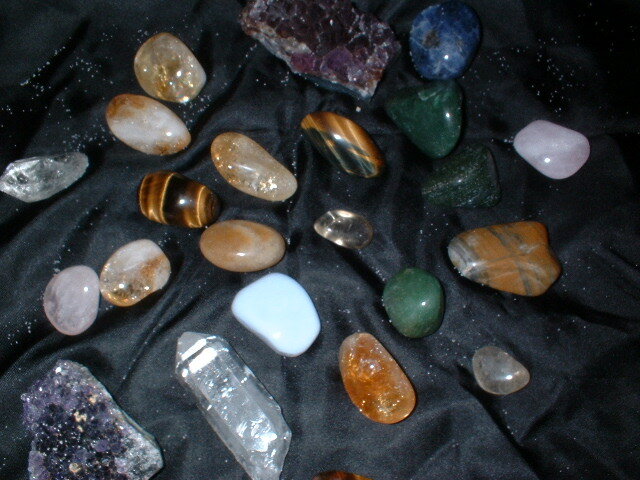 Stones and crystals are cleansed and blessed for you as they are mineral transmitters of cosmic energy. They come in a carry pouch for you to keep with you at all times. 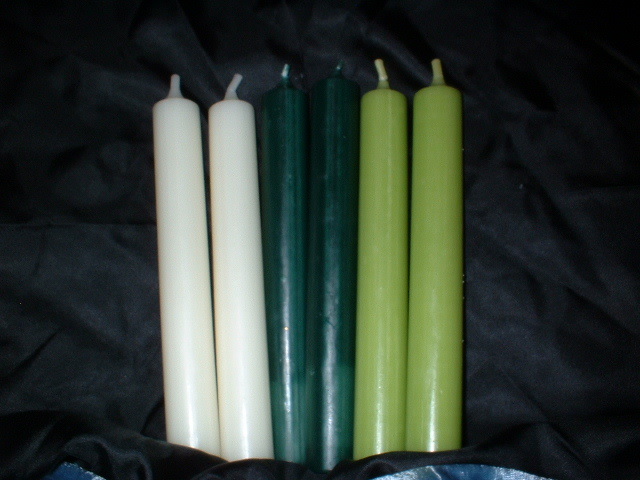 Special candle, to light your way during meditation. We will update these frequently so be sure to check back!